The Paris Wife meets PBS's Victoria in this enthralling novel of the life and loves of one of history's most remarkable women: Winston Churchill's scandalous American mother, Jennie Jerome. Artistically gifted and politically shrewd, she shapes her husband's rise in Parliament and her young son's difficult passage through boyhood. But as the family's influence soars, scandals explode and tragedy befalls the Churchills. Jennie is inescapably drawn to the brilliant and seductive Count Charles Kinsky—diplomat, skilled horse-racer, deeply passionate lover. Their affair only intensifies as Randolph Churchill's sanity frays, and Jennie—a woman whose every move on the public stage is judged—must walk a tightrope between duty and desire. Forced to decide where her heart truly belongs, Jennie risks everything—even her son—and disrupts lives, including her own, on both sides of the Atlantic. 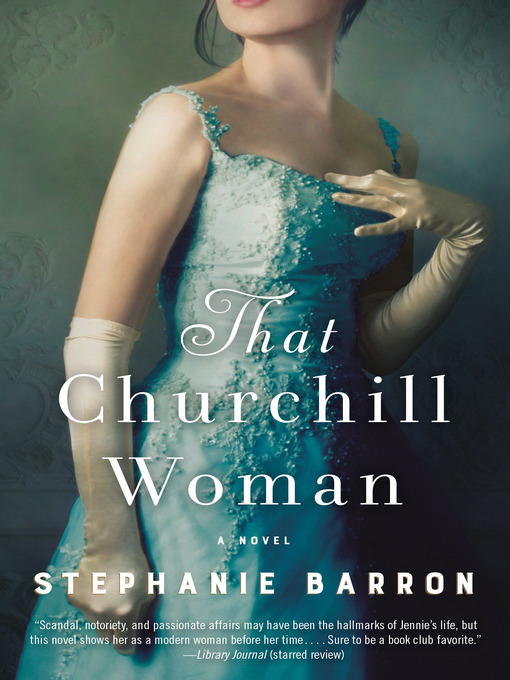 Breathing new life into Jennie's legacy and the glittering world over which she reigned, That Churchill Woman paints a portrait of the difficult—and sometimes impossible—balance among love, freedom, and obligation, while capturing the spirit of an unforgettable woman, one who altered the course of history.